Prominent & Leading Manufacturer from New Delhi, we offer esd safe floor marking tape and esd control poster. Color Available Yellow, Red, Orange, White, Green, Blue, Black etc. 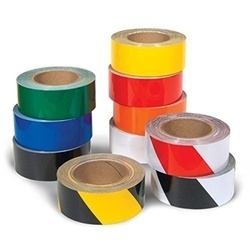 Suitable for use in an ESD Safe Floor Marking Tape and other floor areas Vinyl tape with water based acrylic adhesive. It can be used in place of paints for Line Marking. No need to apply over and over again and easy to remove. Paint might fade easily whereas tape will last longer. 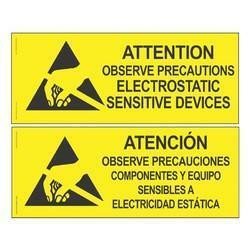 We are involved in manufacturing a large assortment of ESD Control Poster, which are used in different areas.